The Voice Builder offers body-based voice workshops from one to three hours in length. Content can be tailored to your needs, but could include discussion, exercises, and videos of posture, breathing, vocal-fold function and illnesses, sound creation, warm-ups, vocalizing, articulation, truthful and free singing, text focus, speech projection, and more. After many years of teaching voice, performing as an actress and singer, and teaching college speech and acting, Nancy has a unique understanding of "what works"! In addition to offering workshops privately, she also provided this service to the Denver Performing Arts Center for several years, funded by the Scientific and Cultural Facilities District. In 2011 and 2012, Nancy produced and directed the highly successful week-long Denver Summer Voice Intensives for teenagers which covered a wide range of topics from best practices in vocal production, to head shots and resumes, to dance, to acting, to learning to sing unfazed by distractions of any kind. 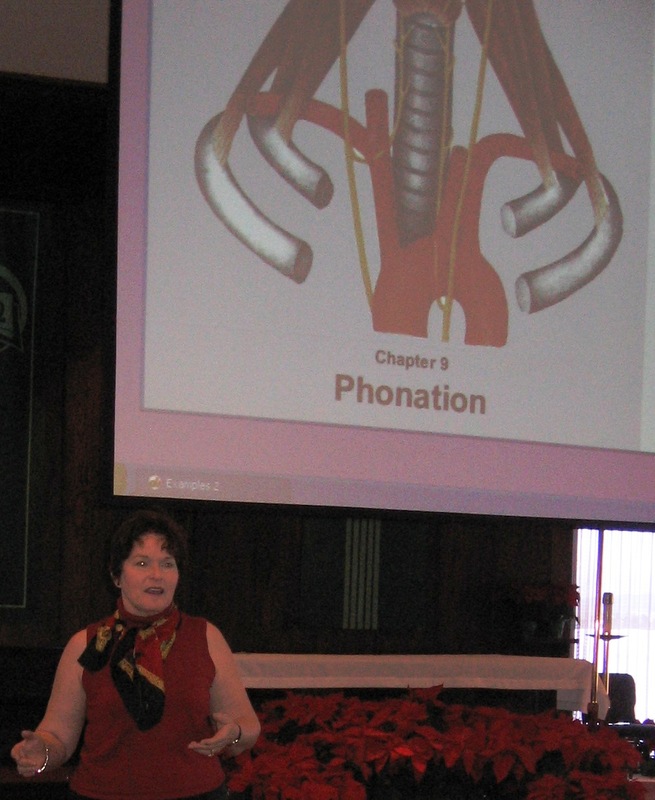 Guest speakers were brought in to supplement activities, all culminating in a final concert.